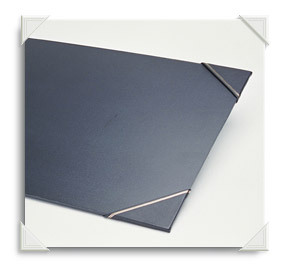 Construction This Desk Blotter is made from durable buckram with gold tooled leather corners. Felt is used as backing for desk protection. A simple yet functional item.